GORGEOUS Astrid and Mercedes dress! So comfy and cozy. 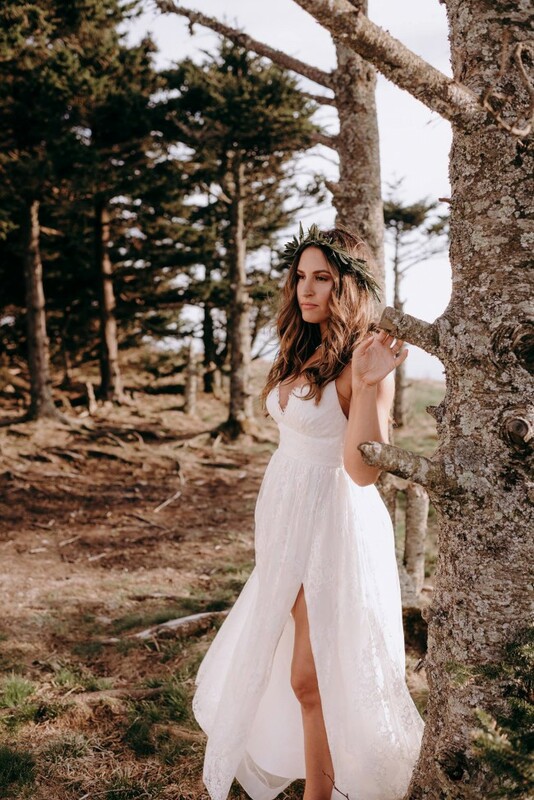 Fit my wedding perfectly for my bohemian meets classic vibe! The dress got so many compliments and was so flattering to my body!! I had alterations made to the dress including; making the back low cut V shape, slimming the waist, tapering the bust, adding a slit, and my favorite changing the skirt from the top being pleats to it being gathers!! Is also altered to be busseled! Feel free to ask any other questions also have tons of pics! Dress has light wear on bottom from walking around! Once you send a message, Brianna can invite you to purchase the dress.